I suspect that when they read ‘Why Closing the Word Gap Matters: Oxford Language Report’, many teachers nodded in agreement but also, perhaps felt a little depressed by the picture it painted. The fact that many children arrive in school with limited vocabularies compared to their peers is well-known to early years teachers and that this gap persists through secondary school is a constant concern for their secondary colleagues who see some students’ life chances damaged by their limited grasp of language. Over the last few years, this gap has become more widely acknowledged and many educationalists have made the case for the extensive explicit teaching of vocabulary. There is no doubt in my mind that this aspect of language has been wrongly ignored over the last decade (it’s interesting that The National Strategies which produced so much useful material had very little to say about vocabulary) and we do need to teach vocabulary more regularly and explicitly – but this is likely to be only part of the picture. In this blog, I want to look at the gap more closely and suggest some approaches which may help to narrow it. When children first learn to read, they are given texts which contain phonetically regular words, simple syntax and limited vocabularies. This is sensible because these ‘reading scheme’ books are designed to teach the child to read and to become a fluent decoder (an essential skill for wider reading later on)., However, alongside learning to decode, children need to be exposed to more sophisticated vocabulary and syntax and encouraged to develop a love of reading and a curiosity about language. Of course, both of these should be part of everyday schooling and parents should be encouraged to play their part too by reading to and talking with their children regularly until they are well into KS2. This all looks fine – get them reading and discussing good books and the gap will close! As teachers, however, we know that it’s really not that simple. The difficulties arise, I think, because too many children learn to decode books but never really become enthusiastic readers of literature. This might be for any number of reasons: lack of books at home, too many other distractions, not enough exposure to interesting books – the list could go on, but the fact is that children like this find it very difficult to understand more sophisticated and challenging texts. For those children, reading is seen as a skill that, once decoding is achieved, need not be practised. It’s as if a music student believes that learning scales is the same as playing the piano. There is indeed a gap – but it’s not just in vocabulary. It’s in the chasm that exists between their language and knowledge of the world and the kind of reading experience needed to make sense of Dickens or Austen. So how do we close that gap: the one that consists of limited vocabulary, poor grasp of complex syntax and difficulty in comprehending the world of more adult texts? When these secondary students are presented with a piece of Dickens, Jane Austen or even Orwell, they are at a disadvantage. They cannot get a grip on the meaning because the language is strange and the content beyond their ken. What we know but they don’t, is that there is a ‘bridge’ between their knowledge and vocabulary and the text. All we have to do is find it. Once that bridge has been crossed and students are, so to speak, on the other side, in the world of the text, they will find that they can understand more than they assumed. Silas had seated himself in his loom, and the noise of weaving had begun; but he had left his scissors on a ledge which Eppie’s arm was long enough to reach; and now, like a small mouse, watching her opportunity, she stole quietly from her corner, secured the scissors, and toddled to the bed again, setting up her back as a mode of concealing the fact. She had a distinct intention as to the use of the scissors; and having cut the linen strip in a jagged but effectual manner, in two moments she had run out at the open door where the sunshine was inviting her, while poor Silas believed her to be a better child than usual. It was not until he happened to need his scissors that the terrible fact burst upon him: Eppie had run out by herself—had perhaps fallen into the Stone-pit. *The bold words were selected as vocabulary learning opportunities (not all were taught. Some were glossed). The underlined sentence was selected as an example of syntax to focus on. We chose it because we knew that it offered a bridge which could connect these pupils (many of whom had EAL or were from disadvantaged backgrounds) with Eliot’s world. We started by showing them two images. We discussed both images extensively before reading the extract. This enabled students to understand what a loom was, why Silas had decided to tie his daughter to it and that ‘tying’ children is still considered acceptable. Once we started reading, students were asked closed questions to check understanding (e.g. Why did Silas believe her to be a better child than unusual?) and then encouraged to think about episodes in their own family lives when they or a sibling had wandered off, perhaps in a supermarket or shopping centre and the effect this had on the adults. This connection to their own experiences led to a much deeper understanding of a text that otherwise would have seemed daunting. Of course, this kind of pre-reading activity isn’t new. When I was an NQT we often talked about ‘warming up’ the text like this, but I think that this approach has not been recognised enough as a way of helping students across the gap towards understanding challenging texts. Select vocabulary from these texts that will be most useful to students in the future and teach it explicitly (in and out of context). Expose students to complex syntax and spend time ‘cracking’ it. This isn’t a plea for teachers only to read ‘relevant’ texts with their classes, it’s a straightforward admission that even experienced readers need to find a way to connect with an unfamiliar or challenging book. Inexperienced readers need help to find it. Finally, I think it’s important to say that teaching like this should be seen as a developmental stage. 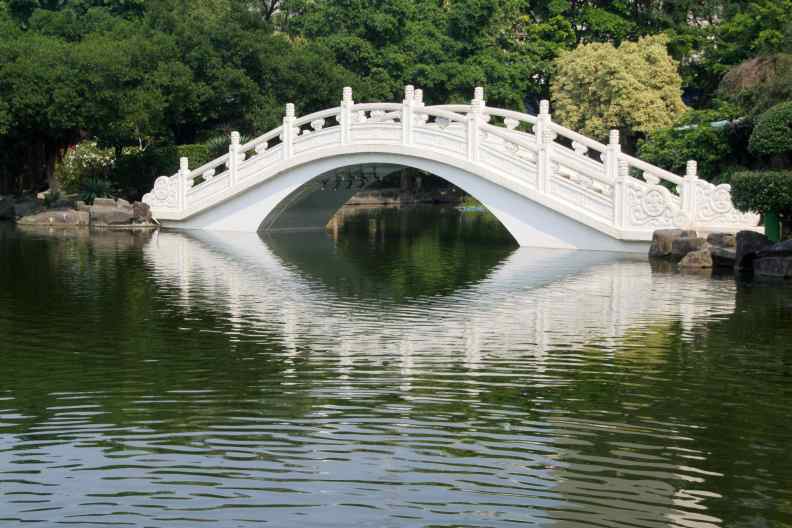 In my example it is the teacher who finds and exploits the ‘bridge’. We need to equip students to find their own ‘bridges’. When their general knowledge is broad enough, their vocabulary extensive enough and their reading experience deep enough, they’ll be able to do it for themselves. Peter Ellison is an English Advisor and part of the Catapult author team.